European equities are set to open higher as yesterday's boisterous bullishness continues. Overnight Asian markets extended the positive lead from Europe and the US. The buying looks set to continue on today's open. However, with the Feds tapering timetable still so uncertain it's unlikely that this marks a significant turnaround in sentiment. It looks more like a relief rally as traders wait for clarity. Also, yesterdays bounce on good data also has the negative consequence of increasing the probability of tapering so any further gains may be limited. Talking of which, US employment data continued to improve, albeit at a slow pace which allowed the Dow Jones to rebound 114 points to 14,966. On top of the employment data, house prices increased over 7% in June compared with last year, supporting the overall view that the economy is on the right track. Surprisingly, China has seen its manufacturing still expanding against expectations of a contraction. That has pushed up mining stocks in the West. Stock markets are set to take another beating on the open as the big question of 'when' tapering will begin is left to speculation following last night's inconclusive FOMC minutes. The committee members' opinion that tapering should start sometime this year was firmly in place, but whether that means in September or December is still vigorously up for debate as the minutes provided no further clues. Since the July meeting, economic data from the US has been quite patchy, with a few notable manufacturing misses. This may suggest that the economy isn't quite in line with Bernanke's September timeline and so a sizeable portion of the market is holding out for a later date. Having said that, nobody from the Fed has actually come out to quash the chatter about a September start, so even traders who feel that it would be too early are nervously aware that that door is still open. Given that the minutes have left traders even more uncertain, attention will have to turn back to the economic data in an effort to divine the Fed's timing. The Dow Jones recouped its lost ground as an immediate reaction to the release, but shortly after resumed its slump which is still underway. The index declined 161 points for the day to 14,853. The Dow Jones initially edged higher last night amid better-than-expected results for US retailers, which showed that the economy is still on the right track. However, the early gains vanished towards the close as spread trading investors moved onto the sidelines ahead of tonight's main event. Therefore, despite a commendable effort to close flat, the Dow closed 9 points in the red at 15,014 and we have seen further bearishness surface overnight. Asian markets saw declines, shrugging off some extremely dovish comments from Bank of Japan Governor Haruhiko Kuroda. However, with such low volumes and most of the market hunkering down ahead of the release, one probably shouldn't pay too much attention to today's action; all of the big players should be positioned by now. Stock markets in Europe are set to open lower once again as a light economic calendar gives traders nothing to do but stew over what Wednesday's FOMC minutes will say. Investors aren't completely in unison about tapering starting in September but nervousness got the better of markets yesterday, with many clearly believing that something bearish is on the way. As such the Dow posted a fourth straight drop, losing 45.5 points to 15,019.5, with some investors exiting their previously established long positions. The trend of declining equities and rising government bond yields around the globe looks set to remain in place today as the markets continue to increase the probability of a September taper. European equities are set to drift lower as the possibility of September tapering from the Fed draws closer. With an unbelievably light economic calendar during the first half of the week, markets are likely to be listless until Wednesday's FOMC minutes. A surprise drop in US consumer confidence drove the Dow Jones lower for the third straight session on Friday. The day may have just seen a 22.5 point decline to 15,061 but, overall for the week, this confirmed the steepest plunge since late June. The falls came despite good data on housing starts and building permits, which might suggest that investors' optimism regarding the US economy is waning. This morning, European equities are set to open lower as yesterday's 'taper tantrum' continues. The Dow Jones dropped 225 points to close at 15,110 and, following on from the previous drop, this larger fall will cause real concern. It didn't help matters that Wal-Mart released some disappointing earnings and Cisco Systems announced 4,000 job cuts. Despite the Fed giving ample warning and market pundits reaching a consensus some time ago, it was if markets only just shook off the denial and began positioning themselves for a post stimulus world. With nervousness about how the domestic US and even the global economy will cope without the Fed's stimulus, markets are likely to be in a state of anxiety until the September Fed meeting. With another batch of data set to show a pick up in the US this afternoon, we could be in for another dive as the odds of a September taper get even shorter. European equities are set to drift lower on the open as uncertainty keeps traders pondering. With dissent being revealed in the MPC minutes, Carney's pledge to keep rates low took another hit to its credibility. Concerns continue to brew as to how committed the MPC will be to the pledge going forward. Adding further uncertainty is the now common dichotomy of how to treat economic data, as was seen in the US with regards to quantitative easing. Is good UK economic data still good for the stock markets if it brings us closer to the 7% unemployment level and rising rates? After such a quiet period there has finally been a proper move in the US equity markets. The Dow Jones Industrial Average declined by the most in six weeks, dropping 115 points to close at 15,335. After staying at relatively high levels for a while, investors have realised that markets aren't likely to go any higher in the short-term whilst the 'taper' cloud looms large overhead. A poor earnings report from Macy's may have provided the trigger as it shows a bleak outlook for consumer spending, a vital part of the US economy. The big data point for today will be the Flash Eurozone GDP figure. After 18 months of decline, hopes are high that the troubled block will have finally gotten its act together and at least pointed its economic compass in the right direction. Whilst the strength of Germany will have the biggest contributory effect, the stabilisation in the periphery will certainly add to the story that the Eurozone is finally picking itself off the bottom. A return to growth will certainly see continental equities perk up and the UK's reliance on European trade could see our stocks share in the boisterousness. However, the air of uncertainty surrounding the MPC minutes is likely to hold the UK markets attention today. Whilst unanimous votes are expected for interest rates and QE to have been kept on hold, it is the debate surrounding forward guidance and the unanimity, or lack thereof, which will be the driver of sentiment. The key question financial spread betting markets will want answered is how committed the MPC is to its forward guidance pledge. We could see some bearishness if any hawks pipe up about concerns over inflation, as the odds of low rates running their course would diminish. If we see that Carney's charm has managed to get unanimous backing for forward guidance, this would imply that they are more committed to low rates for three years. This would be more than is currently being priced into the stock markets and may require an upwards readjustment. US equities rose mildly on Tuesday, with the Dow Jones sliding on the open only to retrace as the day went on. The index ended 30 points higher at 15,450. One interesting part of yesterday happened when notorious billionaire investor Carl Icahn tweeted that Apple shares were undervalued and that he had taken a position; a 5% rise in the technology stock ensued. It seems possible that Mr Icahn will sell his shares on the open after successfully manipulating the market. Market lethargy during the summer months was further exasperated yesterday by the empty economic calendar which led to choppy and convictionless sessions yesterday. Today sees a host of releases around the globe which should add some colour to the economic health underlying markets and give those who remain in the markets a reason to trade. UK inflation is expected to ease marginally. This will be crucial to Carney's pledge to keep rates low for the next 3 years. Although the pledge was tied to the unemployment rate, there was the overriding caveat that the inflation target was still supreme, albeit only from a two year BoE perspective and not the man-in-the-street-wage-eroding point of view. Whilst economists and the BoE have predicted that inflation has peaked at 2.9%. Any sign that they're wrong will be severely punished by markets. Yesterday, we had a reasonably sharp move south in early trading. Yet more speculation of Fed tapering was responsible for the lurch lower as expectation for strong US retail sales (today) weighed on sentiment. 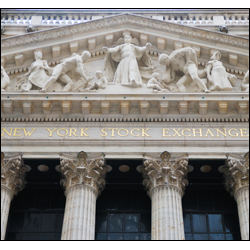 Nevertheless, this was ultimately viewed as a buying opportunity for CFD investors and the Dow Jones recovered to finish flat on the day at 15,420. Markets are stuck in a bit of a rut at the moment, particularly when such low volumes are being traded and it is difficult to see the equity markets moving much in the coming weeks. European equities are set to open marginally higher, buoyed by gains in Asia. Although Japanese markets slipped on a weaker GDP reading, the rest of the region has been boosted by reports of unofficial back door stimulus measures taking place in China. Markets had scaled back odds for the need of a national stimulus package as recent data has shown that China's stalling economy appears to be stabilising. In addition, Chief Finance Minister Lou Jiwe also recently stated that the nation would be unlikely to launch a massive stimulus policy this year. Therefore, the smaller but targeted package has come as an additional boon for the China recovery story. In what was a very dreary week for equities, the markets failed to end the week on a positive note. The Dow Jones saw its first losing week since June, with the index dropping 72 points on Friday to end up at 15,425. Having been at an all-time high during the previous week, the 1.5% move down was no surprise as investors book some profits. The same old story was responsible, with better-than-expected data releases fuelling concerns that the Fed will reduce its stimulus sooner than planned.